​The Elmsdale Animal Hospital offers a wide variety of routine procedures for your pets. All of our surgical procedures are closely monitored by a Registered Veterinary Technician or a trained veterinary assistant. We tailor our anesthesia protocol to your pet’s specific needs using safe and up to date medications to ensure the highest degree of care. We recommend a Pre-Anesthetic Screening for all pets undergoing a routine surgery, including bloodwork (Complete Blood Count, Kidney/Liver Enzymes, Electrolytes) and an ECG. These tests help us to evaluate your pet's anesthetic risk and allow us to create their personalized surgical experience. 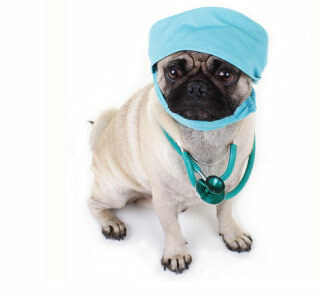 ​Spay and Neuter – We provide minimally invasive, safe spays and neuters for your pets. These highly recommended procedures decrease your pets risk for life threatening illnesses later in life like pyometra (a uterine infection), prostate infections, and testicular, mammary and prostate cancers. They also help to control the pet population. The Elmsdale Animal Hospital recommend spaying and neutering your pets at 6 months of age. Dental Procedures - We are pleased to provide our patients with dental cleanings, dental radiographs and extractions when necessary. Please see our Dental Care page for more information. We have an excellent working relationship with local veterinarians and specialty practices for procedures such as laprascope, arthroscope, TPLO, TTA, and endoscopy that we do not offer in-clinic.